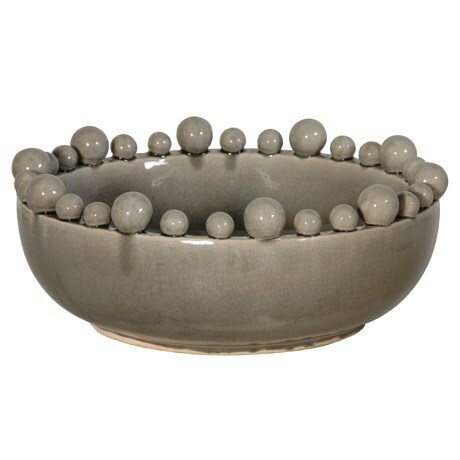 Grey bowl with balls around rim. H:15cm. Dia: 38cm. 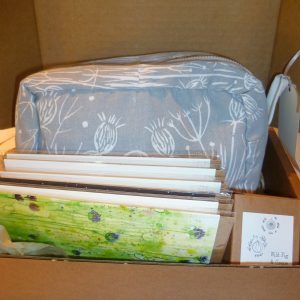 Gift box containing a lovely lined cotton make-up bag, a scented candle & 6 cards. 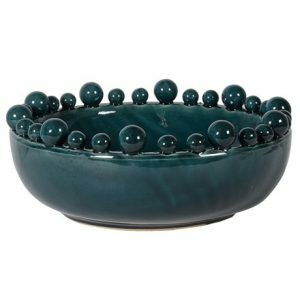 Teal bowl with balls on rim. H:15cm. 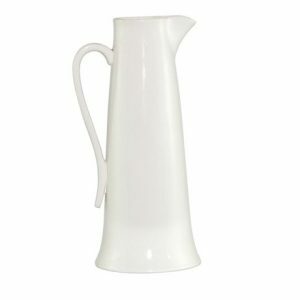 Dia:38cm.